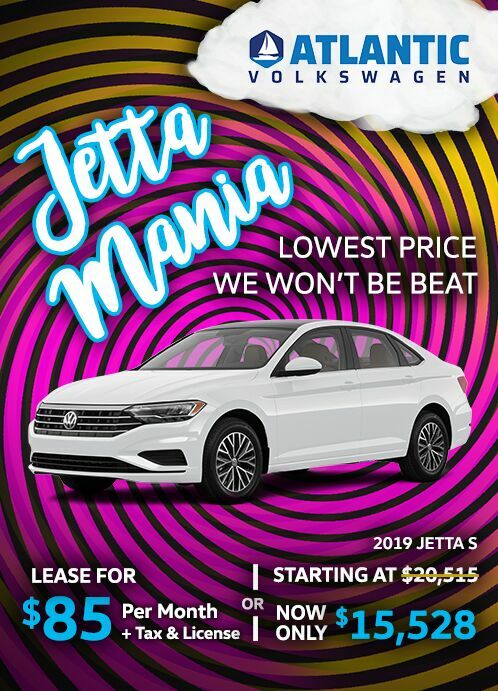 Volkswagen Dealership Serving Atlantic City | Serving the Volkswagen sales and service needs of Atlantic City, NJ and Philadelphia, PA residents. Want to estimate your trade value? This quick, simple tool make it easy. Frank Torres was my salesman, he was very friendly and a great help. Frank worked very hard to ensure I was satisfied with my purchase. I would highly recommend him to anybody when looking for a new vehicle at Atlantic. At Atlantic Volkswagen, we offer a wide selection of new Volkswagen vehicles in South Jersey. With a ton of options, shoppers can always find the vehicle that best suits their needs. Visit us showroom to check out the latest versions of the most popular models from VW, like the Beetle, Jetta, Passat and more. Whether you’re shopping for a reliable sedan, fun compact, or family-friendly SUV, there’s sure to be a great vehicle waiting for you at our dealership. For those in the market for a new-to-you vehicle, we proudly offer an extensive inventory of pre-owned vehicles from a number of automotive brands, as well as a variety of used Volkswagen models near Atlantic City. Our inventory of used vehicles includes models from Chevy, Chrysler, Nissan, Toyota, and many more. We also offer a selection of WordAuto Certified VW models to choose from, that include fantastic warranties and have been put through and passed a 112-point inspection—for added peace of mind. At Atlantic Volkswagen, we’re also home to a state-of-the-art service department, equipped to handle your vehicles needs—from routine maintenance to repairs. Our service center features the latest in diagnostic equipment, as well as Volkswagen Certified service technicians. Our highly skilled technicians work hard to provide you with quality service in a timely manner, using only genuine VW parts that were designed for your specific model to help preserve the integrity of your vehicle. If you prefer to take your vehicle’s maintenance into your own hands, you’ll find everything you need at our parts department. Our parts department offers an array of genuine VW replacement parts and accessories, so you can tackle repairs or customizations head-on. To learn more about all that our dealership has to offer, contact Atlantic Volkswagen at (844) 476-3280.